Useful tips to help achieve a more professional level of speech. The way we speak can say as much about us as the clothes we wear, the car we drive, or even the newspapers and magazines we read. 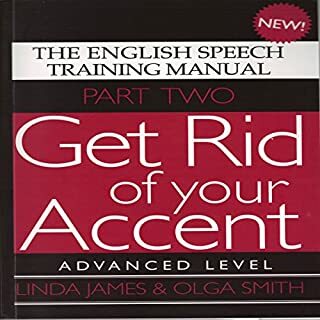 Get Rid of Your Accent is a speech training manual for mastering British-English pronunciation. 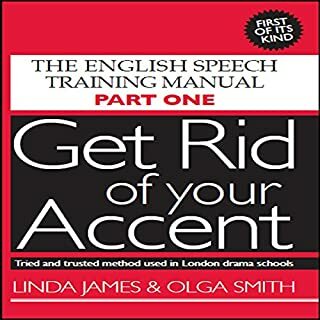 The audiobook is based on a tried and trusted method, used in London drama schools, that helps British people with provincial accents learn standard British English. It includes humorous sentences, tongue twisters, period verses, and rhyme exercises. Relevant subjects are received pronunciation, elocution, and phonetics. In the first part of this speech training manual, we provide practical exercises for difficult speech patterns, such as word endings, consonant clusters, schwa, and strong and weak forms of words. The second part is devoted to connected speech patterns. The third part deals with natural flow of speech, intonation, sentence stress, and onomatopoeia. The fourth part covers how to make your speech interesting to listen to using power, pitch, pace, and pause. 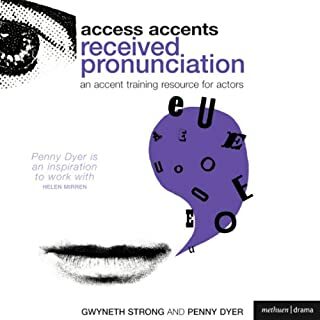 Access Accents bring the highly sought-after voice techniques of top voice coach Penny Dyer to the actor's audio device. They offer a unique opportunity to prepare for auditions at short notice. In this speech training manual, we teach you how to produce all British English sounds. Each chapter in the book covers one sound. First, we explain how to place your tongue, lips, and jaw for the target sound. Then you repeat the sound in words, phrases, sentences, proverbs, famous quotations, verses, and tongue twisters. In addition, you drill contraction exercises, words with silent letters, and French expressions used in business in the English-speaking world. This is the most complete and comprehensive resource for business speech training. Add some kick to your characters with some quick and simple dialect training. 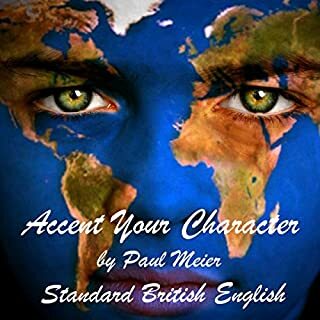 Paul Meier has been training actors for over 25 years and now offers his experience to the casual pretender in these entertaining presentations. You will find accent tips, colloquialisms, and charismatic character concepts that will add to your storytelling, roleplaying, or cosplay. More useful tips to help achieve a more professional level of speech. 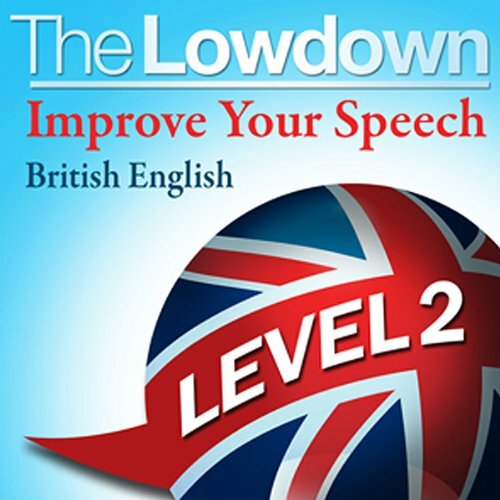 In ‘Improve Your Speech – British English Level 2’ we’ll build on the techniques you learned in Improve Your Speech – British English level 1. In Improve Your Speech – British English Level 2 we will help to take you even further, giving you helpful hints on how best to use your voice and tidy up your speech. You will discover the difference between ‘doing a Dracula’ and ‘talking Chutney’. You will meet ‘Pop’ and ‘Bob’, two characters who will help you with the gentle D and aggressive T. We’ll cover the knotty question of ‘To Spit or Not to Spit’ your Ts, and tackle even more common speech problems. The way we speak can say as much about us as the clothes we wear, the car we drive, or even the newspapers and magazines we read. Used properly, speech can help us to achieve a greater level of success. We live and work in a global market – but English is still regarded as the international language of business. Clear speech sends out the message ‘I am in control’ - inspiring confidence in those around you. Clear speech will help you to maximise your potential, making you a greater asset to your company and your profession. 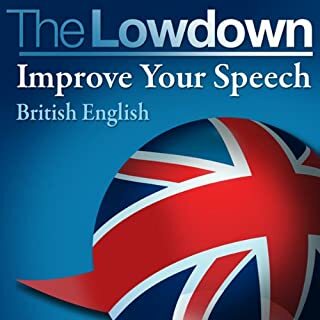 ‘Improve Your Speech’ is aimed primarily at those who have British English as their first language, but it is also useful for those with English as their second language. 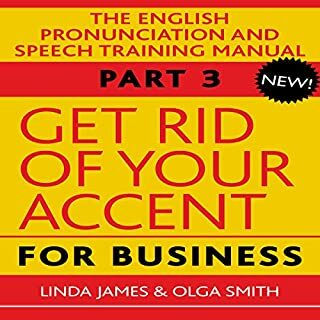 I did not try the first audiobook and am impressed by the wealth of information and (fun) exercises this second volume provides for anyone who wishes to improve their speech, including non-native speakers like myself. It certainly is a useful tool for self-study, but can perhaps also complement lessons with an elocution teacher. The book is delivered with the right mixture of seriousness and lightness, narrated in a calm yet engaging manner that successfully navigates even the few moments when the listener might feel slightly rushed. The narrator clearly practises what he preaches in terms of precision and clarity, which surely is a great advertisement in itself for this audiobook! My English is fluent, but I have wanted to improve my accent. I bought Level 1 of this title, which was excellent, but it covered a lot of material very quickly, which meant I had to stop and start my player when doing the exercises. Level 2 takes things much more in "real time", which makes it like a private lesson with a very good teacher (David Gwillham, who also wrote it, presents very well). I am trying not roll my Rs when speaking English and I found the section on "R" very helpful. I look forwrad to the next lesson and hope one day they do a seperate download of the exercises alone for extra practise. one of the best books i have ever read or i mean listened ! !